I absolutely love Timothy Buron’s Film production of Alice in Wonderland. OK, let’s face it, the book is great. The movie is great. The movie about the book is great. The story is great. The characters are great. OK, it’s all great. The entire intrigue of the story is being dumped down a rabbit’s hole. The finding yourself living in a serial world of talking creatures, drama queens and non-sensical characters. Spinning into the major turning point of the story, Alice triumphantly meets the insanely crazy challenges of rabbit hole living. Changing her physical size, outwitting insane advocacies and organizing life-threating getaways. Then it happens. Alice’s worst fear appears as a Jaberwalki. A gigantic, winged, creature with teeth half the size of her physical being. She’s been told, she has to kill the Jaberwalki if she wants to go home. Through the encouragement of the Mad Hatter, Alice remembers her father’s words; “6 impossible things before breakfast”. Looking at the day, she realizes she’s already done 5 impossible things before breakfast. She fell down a and insanely large rabbit hole and lived. She ate pastry mix that made her grow instantly grow larger and smaller and lived. She discovered the key to the tiny room and go through; and lived … She lists them off until she reaches the number 6 – killing a Jaberwalki. Courageously, she raises her sword. During a daring claw to sword combat, she realizes its kill or be eaten. Not wanting to become someone else’s dinner, she stabs and kills the Jaberwalkie. Collecting Jaberwalkie’s blood, she says her good-byes. Holding a vile of Jaberwalke’s blood, she spirals up the rabbit hole and returns home. In the movie, returning home means meeting the social and financial pressures of a forced marriage proposal. Dusty and dirty, yet filled with new found confidence, courage and determination Alice courageously says no to a marriage proposal from a man she never loved and a man who never loved her. Seeing the confidence, vision and raw courage of this amazing young woman, her almost father-in-law forms a business partnership with her. He then adds a side note stating if her ideas had come from anyone else, he would have said no to them. Alice’s story changed when she changed. So what is number six on your list of impossible things to be accomplished before breakfast? Now here is a great story to tell! It happened, one of those strange tragic moments in life’s predator vs. prey cycle. A tiger, as hungry as she was filled with child. Spotting a herd of goats grazing in the distance she smells food. Capitalizing on a tiny grain of strength, she waits. She watches. She runs. She pounces. She collapses. Terrified goats scatter in the direction they were grazing. Lying on the ground, the lioness heaves her last breath. With it she gives birth to her cub. In uncertain silence, her lifeless body lies, no longer a threat or a danger to the prey around her. Knowing the fields are now safe, the goats return to their grazing land. Upon their return, they discover a larger than average, newly born stranger in their midst. Being community oriented and parental-ly inclined, the goats take it in. Together they raise this stripped, hornless creäture. A few years later, another larger animal stalks the herd. Pouncing, the goats once again scatter in all direction they were grazing. Yes, the goats, not the tiger, for the tiger remains undisturbed, quietly munching on clumps of grass. The larger animal taking full responsibility for his herd scattering endeavors, introduces himself as tiger. “Embarrassing,” roars the Tiger, watching the awkward slobbering and dirt spitting grazing habits of this misguided carnivore. Perplexed and stunned, the Tiger turns to the grass feeding one and requests a brief conference at the water’s edge. It is agreed. The Tiger looks at the grass-eating one, “You too are Tiger. This grass eater pauses, uncertain on how to respond. Tiger takes its face and positions it over the unwavering, un-shimmering depths of water’s pure reflection. Then too he places his face next to the grass eater’s reflection. Stunned, the grass eater has to admit that he looks nothing like the animals he surrounds himself with . 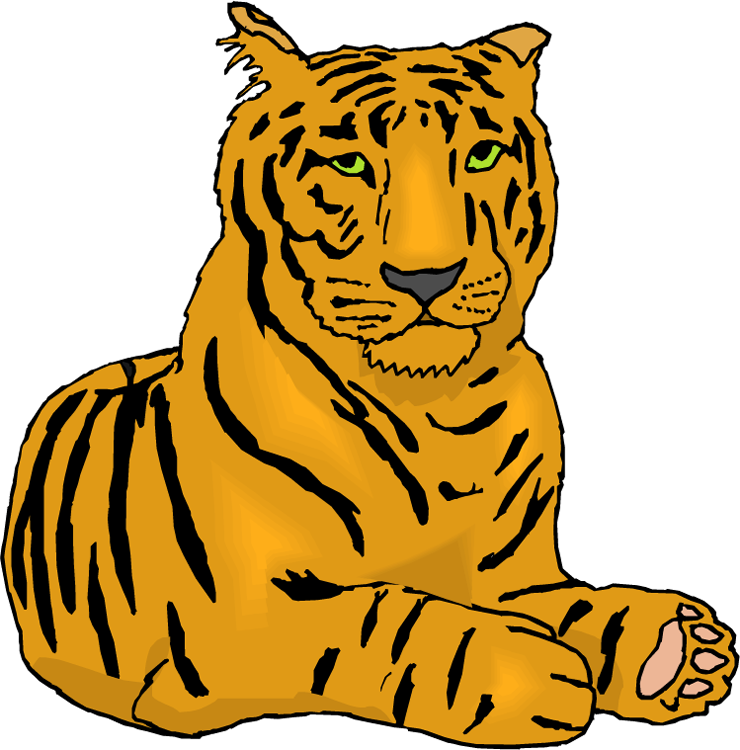 Too, that while he resembles Tiger in stripes and fur, he does not have the same fullness of shape, development of muscles or vibrancy of color or language that Tiger possesses. Tiger then takes the grass eater home with him. Entering his den, oozing with the freshness of today’s catch, he rips out a chunk of blood dripping flesh and shoves it into grass eater’s mouth. Still choking and sputtering as the richness of the meat’s abundance enters his body, grass eater begins to step into his true being. The new food seemingly to giving him a strength and a health he has not known until now. Using all the strength and courage within his being, the once fleeting bleat, sounds much more like a mini roar.